The Latino Comic Con is a unique event that you don’t want to miss. Come out and have a blast. We have Latino Comic Con Group & Couples’ Costume Ideas for the Cosplay Costume Contest. 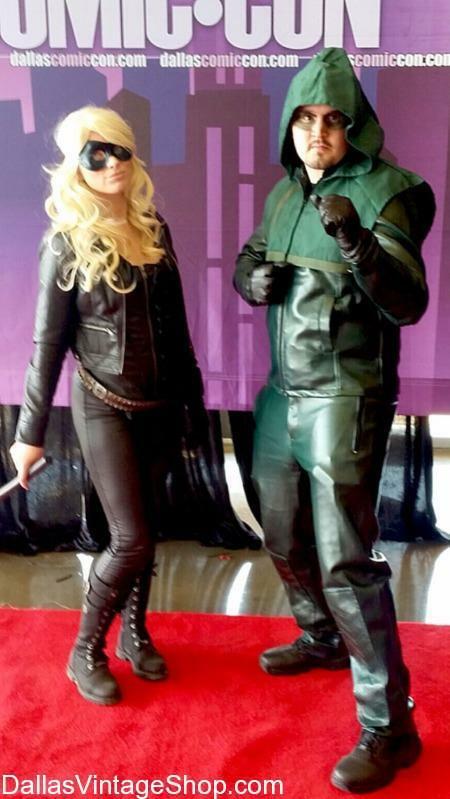 Do you like these Cosplay, Green Arrow & Black Canary Costumes? We have many Marvel, DC Comics and other great Costumes at Dallas Vintage Shop. Get Texas Latino Comic Con COMPLETE DETAILS, for the 2nd Annual Texas Latino Comic Con @ Latino Cultural Center, Dallas TX, July 28 2018, Hours: 11-6 Saturday, Latino Comic Con Information, Location & Map Links. this is an Annual Event, FREE Admission, Kids Friendly, Special Guests, Get the Schedule, Vendors, FACEBOOK EVENT PAGE LATINO COMIC CON, Cosplay Costume Contest, Where to find Costumes DFW, Supreme Quality & Economy Costumes for Adults & Kids too. Cosplay Costumes from Dallas Vintage Shop.. See more Texas Latino Comic Con Cosplay Costume Ideas. This entry is filed under 2019 TBA (Q3) Texas Latino Comic Con. You can follow any responses to this entry through the RSS 2.0 feed. Both comments and pings are currently closed.